Use: for Pharmaceutical, Food, Chemical and Cosmetic products etc. 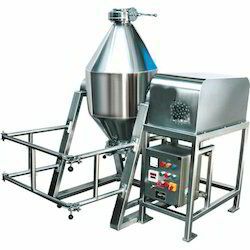 FOR SAFE AND EFFECTIVE BLENDING OF FREE FLOWING SOLIDS IN POWDER OR GRANULAR FORM OF VARYING BULK DENSITIES HANDLED IN TOTAL DUST PROOF ENCLOSURE. 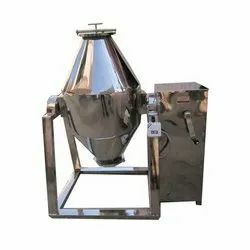 MOST EFFECTIVE ‘TUMBLER MIXER’ IDEAL FOR USE IN PHARMACEUTICALS, CHEMICALS, AGRO CHEMICALS, INSECTICIDE, PESTICIDE, VETERINARY MEDICAL AND ALLIED INDUSTRIES. Our company has gained immense experience in the field of presenting Stainless Steel Blender Machine.